It has been a long time since I tried this product but I can still remember my experience using this most raved kojic acid soap from Belo. 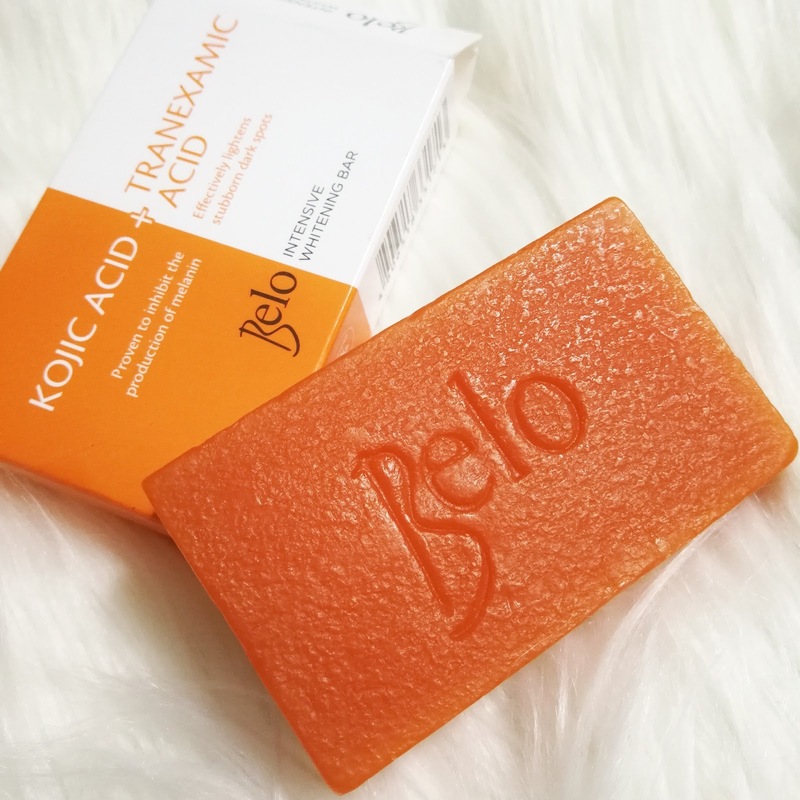 I recently tried the soap again so I am excited to share you my detailed review about the Belo Intensive Whitening Kojic Acid and Tranexamic Acid Soap. I gave my short review about this product on my blog post about whitening soaps in the Philippines few years ago. Click here to read the said blog. 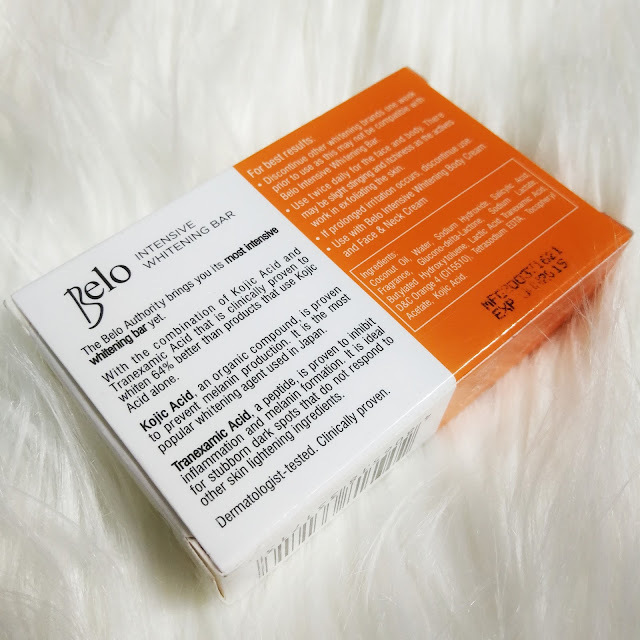 Belo’s most intensive whitening bar yet that boasts of the unique combination of today’s two most powerful whitening actives. Kojic Acid is an organic compound that effectively inhibits the production of melanin giving skin a visibly lighter appearance. Tranexamic Acid is a peptide proven to inhibit inflammation and melanin formation. It is ideal for stubborn dark spots that do not respond to other skin lightening ingredients. First of all, I am super impressed on the fragrance of this soap because it has this very pleasant smell that makes me feel fresh every after bath. I also want to commend the detailed packaging of this product because everything you need to know about the soap is clearly printed on the box. Another thing that I like about this product is the ingredients. 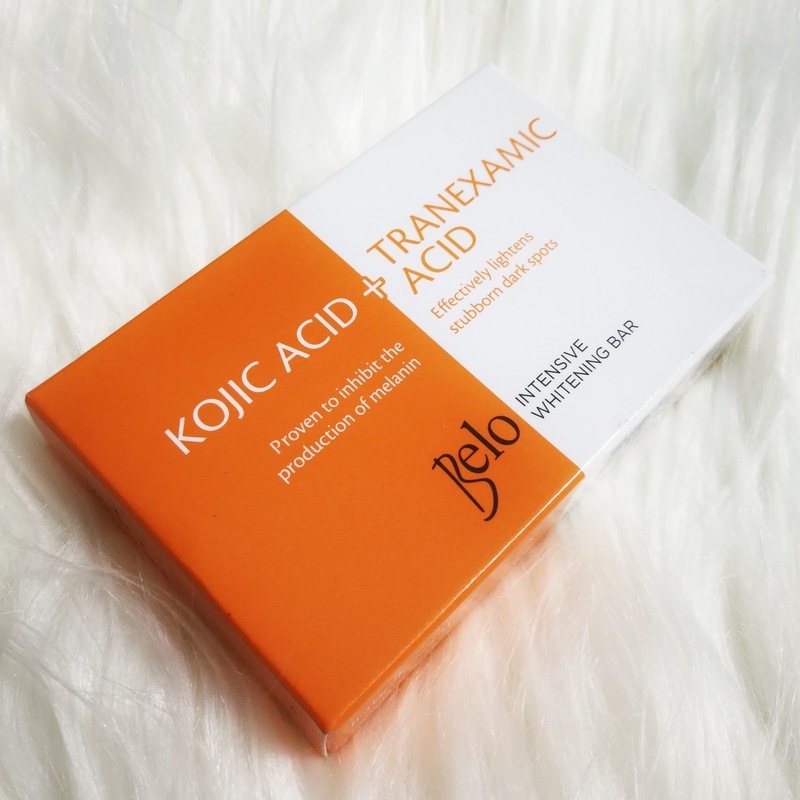 The kojic acid and tranexamic acid are brilliantly combined together. Those two are very powerful whitening ingredients. The soap produces a generous amount of bubbles which I super like because it makes my bathing time enjoyable and not so boring. I also like the fact that it really makes my skin whiter. It is not super fast but at least, I can confidently say that this product works. I noticed a whiter complexion after finishing 4 bars of this kojic acid soap. I experienced tingling sensation and excessive dryness using the Belo Intensive Whitening Kojic Acid and Tranexamic Acid Soap so I don't recommend this product if you have sensitive and dry skin. That's actually a down side for me because I have hypersensitive skin and it makes my skin looks like a chalkboard. Yes, it is effective in terms of skin lightening but I don't want to compromise my skin's overall health just to make it fairer. All in all, I can still recommend this soap if you have a normal skin type. This can really whiten the skin but make sure to still moisturize your entire body after bath to maintain the moisture level on your skin. Will I repurchase again? Hmmm... Maybe!